MGs on TRACK organise fun, sociable track days where MG enthusiasts can enjoy their cars in safety. 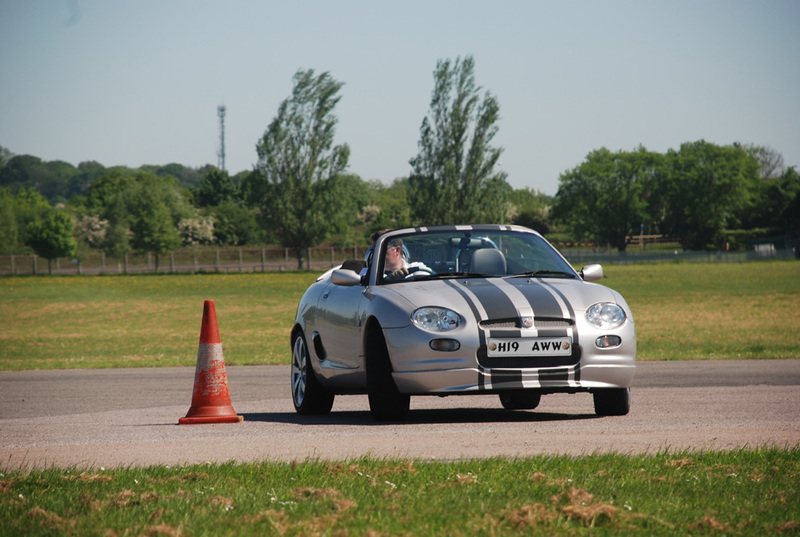 On Friday 2 nd August MGs on Track are holding a Starter Experience at North Weald in Epping, Essex. This is not a track day as such, more a chance for MG Car Club members to have fun in their car, increase their driving skills and meet other like-minded MG owners. The Starter Experience is perfect for anyone looking for an introduction to the world of track days, with drivers able to explore their car’s handling a safe environment under the watchful eye of a performance driving instructor. Numbers are limited to just 23 cars, with eight spots still available. During the Starter Experience there will only be one car on the track at any given time, minimising any risk to the driver or car. The Starter Expereince is intended for track day first time & novice drivers only. No experience is required. No helmets are required. Just you and your car.